Today, Wavves is proud to share their new music video for “Demon To Lean On”. The video was directed by BLACK // DOCTOR (Chris Black and MISTERDOCTOR), the same duo that directed “Sail To The Sun”. “Demon To Lean On” appears on the band’s forthcoming Afraid Of Heights LP, which is due on March 26th via Mom + Pop/Warner Bros. Wavves will be touring North America in support of their album along with FIDLAR and Cheatahs throughout March and April. Scroll down to view all of the dates including performances at SXSW. 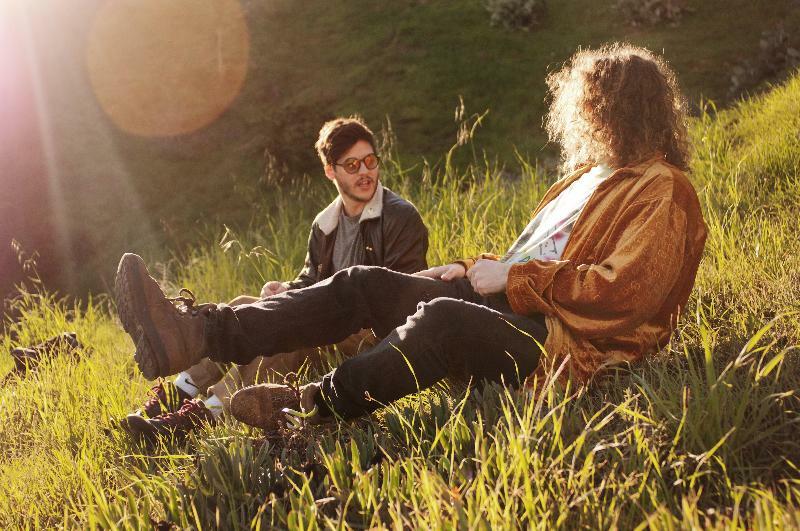 Straight from the dungeons of L.A., Wavves are releasing Afraid Of Heights, their fourth album and first on the Mom + Pop and Warner Bros. labels. Now a duo consisting of guitarist Nathan Williams and bassist Stephen Pope, they sound bigger, brasher, and shockingly more professional than ever on Afraid Of Heights which positions the band to take their rightful place amongst the pop-punk gods. You know the story by now. Bored dude in his parents’ tool shed-turned-room with no insulation and a record stuck to a hole in the wall to keep the mice out turns on a four-track recorder, fucks around and ends up with two of the oddest, noisiest, and downright catchiest albums in recent memory. Those two records (the eponymous Wavves the eponyymous Wavvves) were winningly, messily chaotic-grand on a small scale, but not necessarily world-beaters. Which is why when Williams, then solo, linked up with erstwhile Jay Reatard sidemen Stephen Pope (bass) and Billy Hayes (drums) and busted the door down with the stunner that was King Of The Beach, a pop-punk blackout for the DeLonge and Deleuze crowd. After the smoke of King Of The Beach had cleared, Williams and Pope released the Life Sux EP, a testament to the crushing powers of rock n’ roll and also ennui. Lyrically, Williams took the focus less off of his own melancholy and out into the world, with songs that dealt with crooked preachers (“Sail To The Sun”), relationships (“Dog”) and killing cops (“Cop”). Even when he reaches outside his own damaged psyche, Williams is still making Wavves songs, saying, “The general theme of the record is depression and anxiety, being death-obsessed and paranoid of impending doom. I feel like the narration is almost schizophrenic if you listen front to back; every word is important, even the constant contradictions and lack of self-worth. That’s all a part of this record-questioning everything not because I’m curious, but because I’m paranoid.” That paranoia manifests itself on many of the album’s best tracks, such as the spacey drones and bummazoid vibes of the Weezer-referencing, getting-drunk-because-you-can’t-bring-yourself-to-care-vibey “Afraid Of Heights,” or the string-aided “I Can’t Dream,” which rounds the record out with the optimistic, “I can finally sleep,” before subverting itself with, “But I can’t dream.” With their biggest and boldest-sounding record yet, Wavves might have finally come into their own, a fully-realized punk rock force in both sound and vision. 3/23/13 @ Velvet Jones – Santa Barbara, CA !